Nearing 35 years in business, The Pepi Companies continues to experience growth as it consistently brings improvement and innovation to the Food and Beverage distribution industry. Although recognized nationwide for its’ leadership and entrepreneurship, the privately held family owned corporation prides itself mostly on providing extraordinary customer experiences. This value has and continues to be a focus passed from founder Vic Pemberton (who remains CEO of the company), to President, Donnie Pemberton, and the rest of the Pepi team. 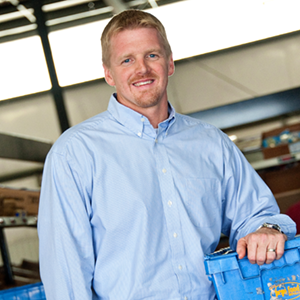 After assuming his role as President of the company in 2015, Donnie and his team of over 125 associates continues to develop and drive innovative delivery models and additional fresh healthy food solutions. In the tristate area of Florida, Georgia and Alabama you can experience Pepi at break time through vending and 24/7 markets, as well as an exceptional portfolio of coffee/office solutions including Lucky Goat and Royal Cup. Thousands of customers throughout the region experience the difference of Pepi’s fresh, handmade HOMESTYLE foods for vending, markets, convenience, and more! Under Donnie’s leadership, Pepi’s 10,000 square foot culinary center is HACCP certified, third party inspected and full of all the yummy healthy food solutions that our customers desire – ranging from the new home meal prep delivery solution – SIMPLYFIT Pepi, to corporate catering solutions, to retail dining cafes – FRESH Café & Coffee, to HOMESTYLE food trucks and coming soon a Downtown Market in Dothan, Alabama.